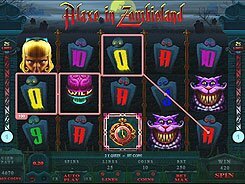 This is a very visually appealing and immersive slot from Microgaming that is based on the monster theme. 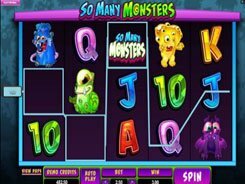 Actually, the symbols used in the slot have a strong resemblance with characters of Monsters, Inc., an animated comedy film. 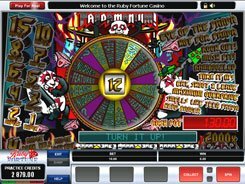 Played over 5 reels and 50 lines, the slot accepts a bet in a range of $0.01 to $100 per spin. 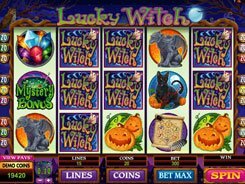 The game features a wild, two scatter symbols, free spins, three bonus games and the top jackpot worth $4000. Perhaps the most alluring is the Monster Closet Bonus. On the second screen, you are to choose one of five doors that lead to children’s bedrooms. 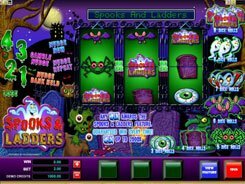 Depending on the selected door, you get a multiplier to your total bet (up to x75) or access to either of the two bonus games: Scary Slam Bonus or Destination Bonus, both promising lots of fun and decent cash awards. 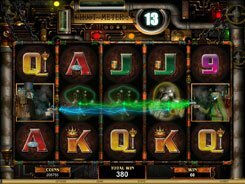 Along with the three bonus games, the slot features a free spins round. Get three or more Door Knockers scattered anywhere, and enjoy 12 free spins at a x3 multiplier. 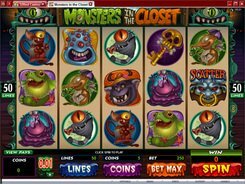 During the free spins, you can win the Monster Closet Bonus. PLAY FOR REAL MONEY!